This 1890 traditional four-square farmhouse structure with stucco exterior sits on an urban city lot. The back of the house is an aggregate of forms and different volumes, each with independent roofs. 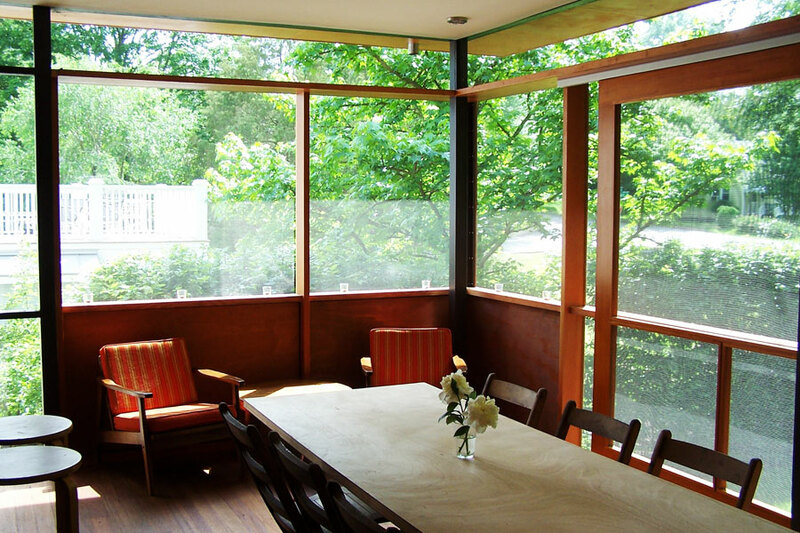 Small, compartmentalized rooms and limited access to the back yard were inefficient and left the house feeling disconnected from a landscape the owners passionately attend to. The addition of a new screened porch and the creation of a new kitchen crafted out of several reconfigured spaces provides the owners with generous workspace, efficient storage and much needed light while engaging the yard and serving as an outdoor living room throughout the year. 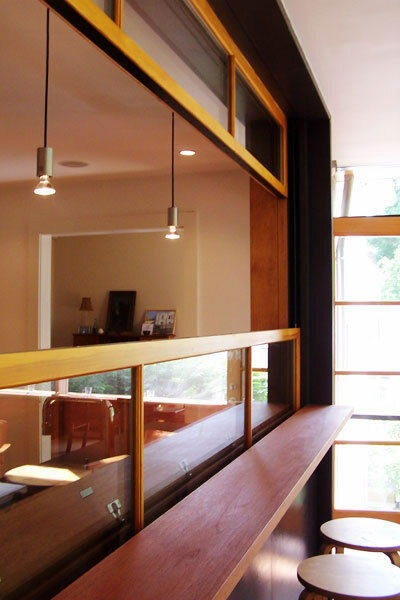 Our work sets itself in contrast to the solid character of the original house with its large openings, expressive frame and sense of transparency. 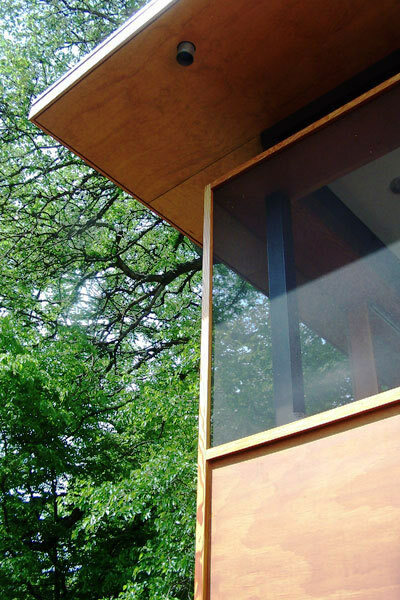 A thin, flat roof is suspended over a light wood frame with a screened enclosure delicately cantilevering out into the yard. 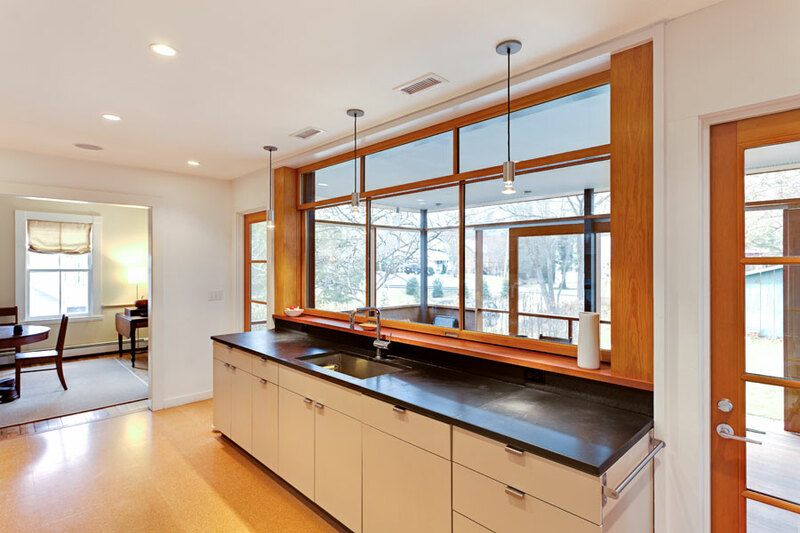 A large 10-foot-wide custom counterweighted window slides down into a concealed pocket in the wall (like a car window) and transforms the sink counter into a functioning island between the kitchen and screened porch during warm weather. Open wood steps lightly connect to the yard and two sliding screen panels complete the porch enclosure and provide ultimate flexibility.